This rendering shows what the new Celebration Ford dealership will look like on the corner of the Trans-Canada Highway and East Access Road in Moosomin. The dealership will be located directly west of the Borderland Co-op gas station. The snow and topsoil have been scraped away, semi loads of clay are being piled onto the frozen ground, and excavators are spreading and grading the clay. 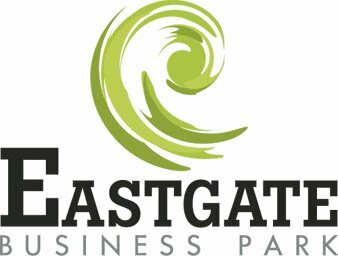 After 30,000 cubic yards of clay are brought in to alter the landscape, what has been a farm field for 130 years will become Moosomin's newest development-Eastgate Business Park. The earthwork going on now is to prepare the site of the first business to be built in the development, Celebration Ford. Work will start on the building this May, and a year from now the new 25,000-square-foot dealership should be open, directly west of Borderland Co-op. Tyler Thorn of Celebration Ford says he had his sights set on the property at the corner of the Trans-Canada Highway and East Access Road. "Because of the visibility and the traffic, this is where we wanted to be," he said. "We knew we wanted to be on the highway, and we looked at other locations, but we kept coming back to this one." Celebration needs six acres for its new dealership, but purchased the entire 33-acre parcel of land in order to move ahead with the project, with the plan of subdividing the parcel and selling the rest. The development will have a road running through it-Celebration Drive-from East Access Road to Saunders Road. "We bought the land in April of 2012, and we've been working on plans ever since," says Thorn. Tyler's father Bill Thorn has been helping bring the the project together, which has involved long hours of meetings with architects, engineers, and suppliers. "On a project like this, you have to get used to the pace everyone works at," Bill says. "In the car business we're used to moving fast, but when you have a complicated project with a lot of people involved it can move at a different pace. It's not always as fast as we would like, but we want to do it right." The earthwork is focusing on building up the corner where the dealership will be built first. Work on the building will start May 1. "We want to get the building site up to the level they need it at-if it's a wet spring, at least they can work on the building," says Tyler. He says he is looking forward to moving his business into a building with room to grow. "In terms of building space, we're going from 15,000 square feet under three roofs to about 25,000 square feet all under one roof, which will be a big improvement," says Tyler. "In terms of lot space, we're now working on 1.5 to two acres, and we'll have six acres available at the new site. We'll have more room for staff parking, we'll have room for more inventory, we'll have room for more customers. "Just the parking alone will be a big improvement," he said. "Right now parking is a big problem, by 8:15 a.m. there isn't a parking spot anywhere around here." The new location will give the business room to grow. "Between the body shop and the service shop, the new shop will be double the capacity," says Thorn. "As long as we can staff it, we should be able to grow into it." What are the biggest challenges for a building project this size? "There are so many people involved," says Tyler. "Trying to gather all that information together into one, when everyone has a different opinion on the right way to do it, trying to decipher the information, just co-ordinating all that information into one, it's a big job." "It takes a lot of time," adds Bill. "We had three meetings with telephone and technology people yesterday looking at networking and phones. That took eight hours." There have been some inquiries from people interested in building in the new development. "We've been getting a few inquiries, and we think that will only increase once we get going. We've had one person in the development business talk to us, we have had lots of people talking about it." Celebration should be moving into the new development within a year. "We've been using March 1, 2014 as our move-in date," says Tyler. "We're still using that as our target date. I think all this snow is going to slow it down a bit, but that's still our target." Under a development agreement with the town of Moosomin, the Thorns will build Celebration Drive and will install water and sewer on the new development, and the infrastructure will become the town's property once it is completed. This is the first time the town has had such an agreement, and both sides say they are happy with it. "The town has committed to running the services to the property line, and we were really pleased with the town's infrastructure commitment," says Tyler. "They've been very good to work with." Mayor Larry Tomlinson says the agreement works well from the town's perspective as well. "I think it will work well," says Tomlinson. "It takes us out of the land business, so it makes it easier for us." While building a new dealership and an entire development complete with water and sewer and roads, the Thorns are also looking to sell their current properties along Broadway Avenue. One property has been sold already. Bill says he's always thinking about the project. "What I think of on a daily basis is, a year from now we won't have to worry about things like where to park." Tyler says he's looking forward to moving the business into the new building. "I think this will take it to the next level," he says. "We're almost maxed out. If we do any more business we need more space." He also said the scale of the project has altered his perspective. "When I think back, when we started planning this, we would be thinking of how many thousands for this how many thousands for that. "Now we're talking millions-it's going to be a million for this, a million for that." "I think Moosomin is geographically situated so favorably to be a centre. We're just far enough away from the cities."